So, You Wanna Be A Tzadik? Genesis 6:9 These are the generations of Noah, Noah was a righteous man he was perfect in his generations; Noah walked with God... 7:1 And the Lord said to Noah, "Come into the ark, you and all your household, for it is you that I have seen as a righteous man [a tzadik] before Me in this generation. Martin Buber, The Legend of the Baal-Shem page 32. How did Noah merit to be considered righteous (tzadik) by HaShem? He listened to God and did as he was directed (Genesis 6:9-8:22). Noah's righteousness was based on his emunah (active faith and trust) based intentional decisions. 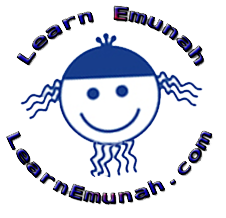 Unlike Adam and Chava (Eve) Noah chose the morally upright path of emunah when considering his options. Because of this HaShem declared him righteous. Likewise if we choose the morally correct path HaShem will declare us righteous as well. Because of Noah's righteousness HaShem entered into the Noahide Covenant with him and his descendents (i.e. with everyone). As people embrace a more moral and ethical life, either as Jews or as Noahidim, they draw closer to HaShem and He to us. Each of us is free to choose our path in life. When we do so based on Torah and emunah our success is guaranteed. From this we understand the relative nature of the word "perfect." Even in our wicked generation each of us have the ability to achieve righteousness. IF we chose to "walk with G-d."
Technically a tzadik is one whose yetzer tov outweighs his yetzer hara. In other words, one whose good/positive inclinations and qualities outweigh the bad/negative traits. This is the definition of Rambam (in Yad Hachazaka, Repentance chapter 3). However to be a true tzadik requires more. Rabbi Shneur Zalman, the Alter Rebbe (founding rabbi) of Chabad Lubavitch, explains in the Tanya that a real tzaddik is someone who either has no remaining yetzer hara (evil inclination) at all (this is the tzaddik v'tov lo, or tzaddik gomur), or one whose yetzer hara is so subjugated to the will of his/her yetzer tov (the good/positive inclination) that it 'never even voices its opinion', and is completely dormant. This is the tzaddik v'ra lo, or tzaddik she'aino gomur). This paragraph is referenced from Here. And there are different types of tzadikim. We are created as unique individuals. While one could not be one of the tzadik nistarim (i.e. one of the '36 righteous ones' present within each generation) for instance without a specific anointing from HaShem, anyone can choose to live according to the derech HaShem (i.e. the Way of God) and thereby enhance their positive qualities. One becomes a tzadik by harmonizing his/her will with that of HaShem. Implicit in this is that one must exorcize emunah in HaShem as Sovereign. Torah reveals the path of harmony to all who seek it. The Misnagdim (opponents of the Chassidim) say that the main thing is to study Torah. The Chassidim say the main thing is prayer. But I say: Pray and study and pray.